This song came out in about 20 minutes – I have no idea what sparked it off, apart from the ‘empty pockets’ line, which is partly borrowed from the poet Antony Raftery. As so many times before, I was fooling around with an Open G tuning and the little John Prine-ish introduction motif seemed to emerge on its own. The rest of the lyrics seem to be have been a reaction to the ongoing global recession and in particular the awful state of the economy in Ireland – and what has been lost. As for the last verse, it’s a rumination on the awful year of bad health my parents had just gone through at the time of writing. My mum and dad were great dancers. As a child, I remember watching them dancing at family parties. When they began to jive, other members of the family would gradually stop dancing and just watch. They had never taken any lessons or anything, they just knew how to do it, and they moved like the expression of pure physical joy that dancers give off like a light when it’s done right. A circle would form and they would inhabit the space and fill it with an unconscious expression of delight. As my father spun my mother, he would often let his left hand float upwards and flutter it, like a pianist playing a boogie-woogie trill. 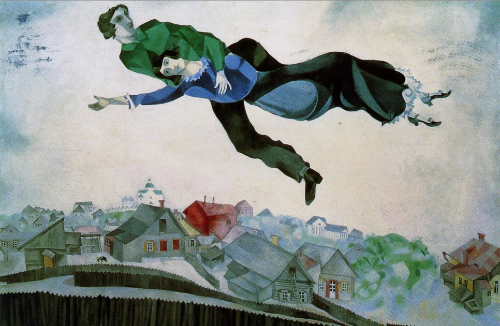 As a child, I may have believed that at times like this, they actually would leave the floor and rise upwards like Chagall’s lovers. I remember watching them with huge pride from the edge of childhood, from the side of dancefloors in dusty hotel function rooms, my eyes gritty from lack of sleep and my teeth sticky with Coca Cola. And all I have to do is put on some Chuck Berry and close my eyes, and they’re still there. and they woke up hopeful. and they went home lonely. but I won’t be long. I’ll be home before you even know I’m gone. to all the empty pockets of Ireland. and I’m up way too late. and I don’t want to wake up.